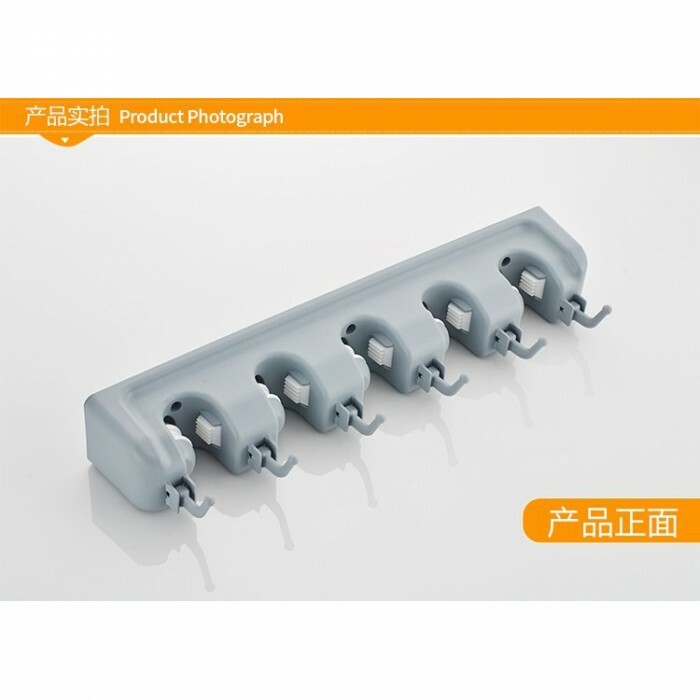 Our broom hanger is multi-functional and practical, it can be used for storing broom and mop in many places, such as garage, garden, laundry, hotel, restaurant and hospitals etc. 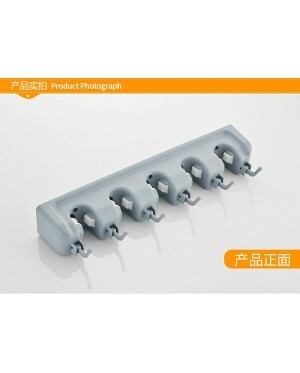 Comes with hooks for hanging keys, umbrellas or towels, it is very convenient and easy to use. 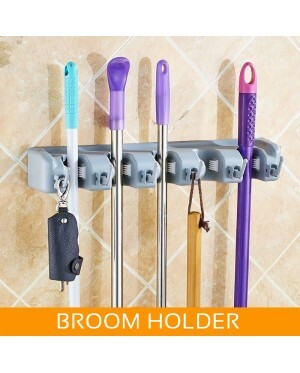 A very practical and value for money broom hanger. 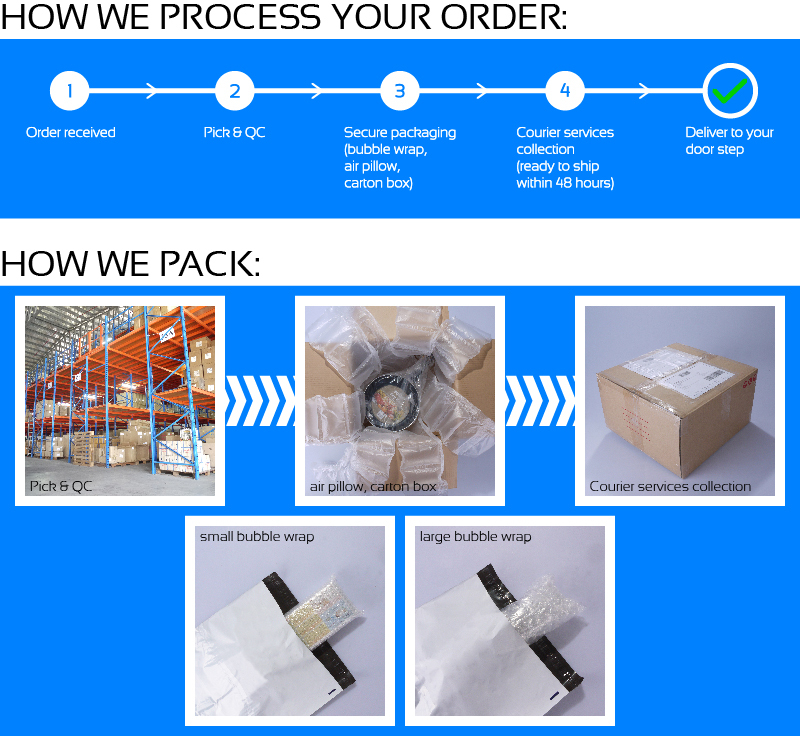 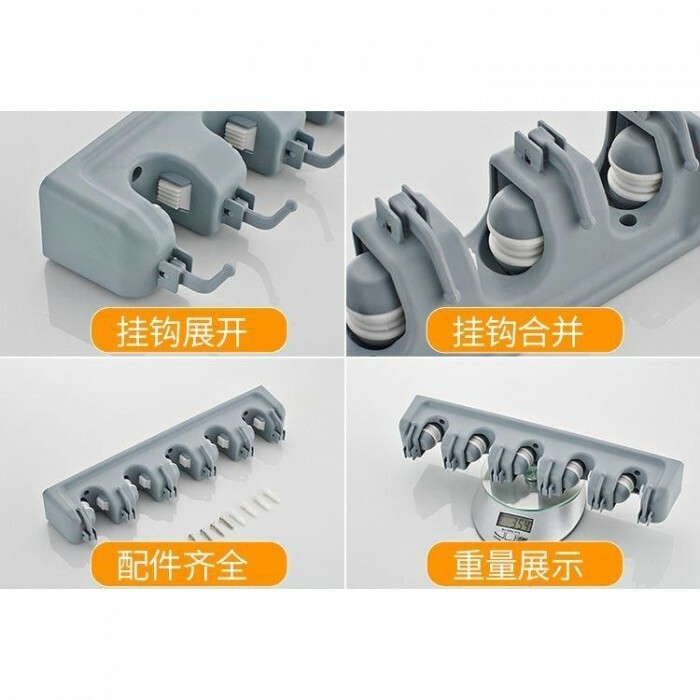 HIGH QUALITY MATERIAL - Made of high-quality ABS material, environmental-friendly, sturdy and durable. 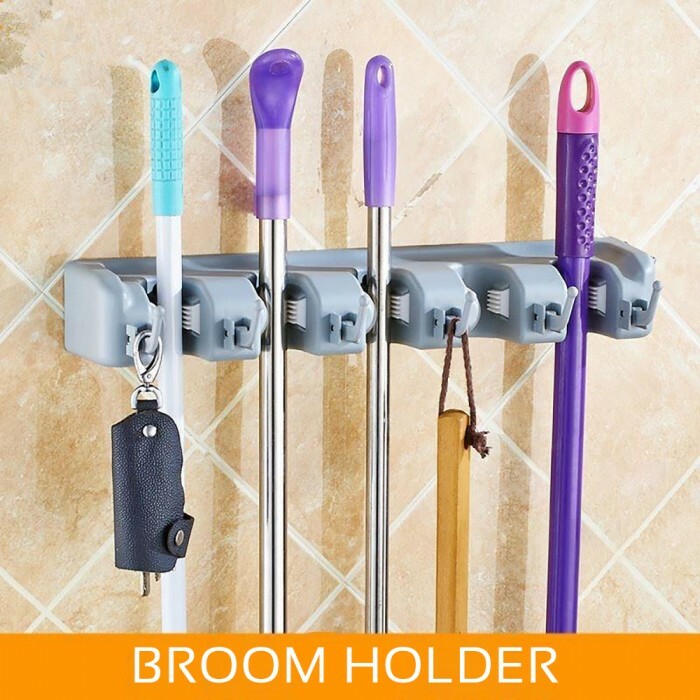 MANY USES - Can be used for storing mop and broom in the garage, garden, kitchen, laundry, office, school, hotel, restaurant, hospital or supermarkets etc. 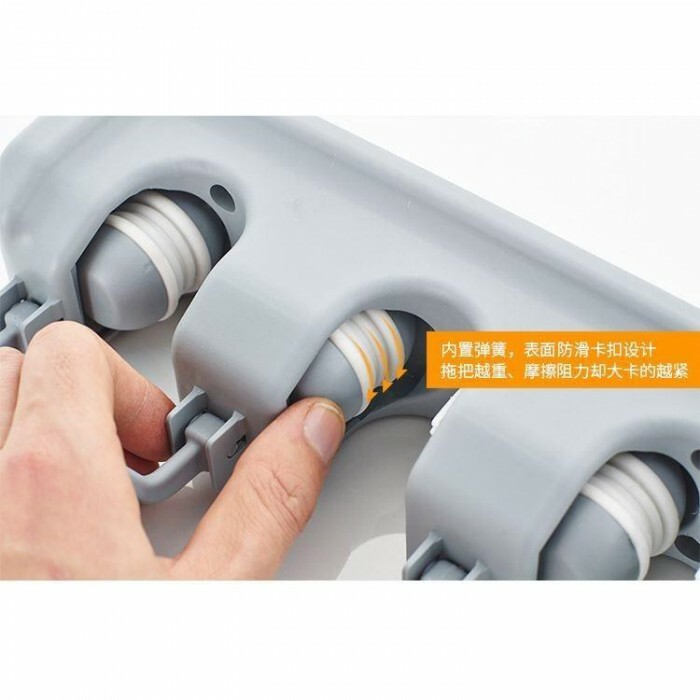 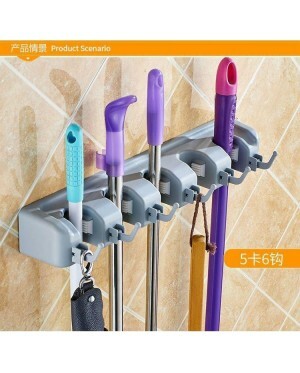 EASY TO USE - When you place the broom in the position, the rolling balls will automatically adjust to grip the handle securely. 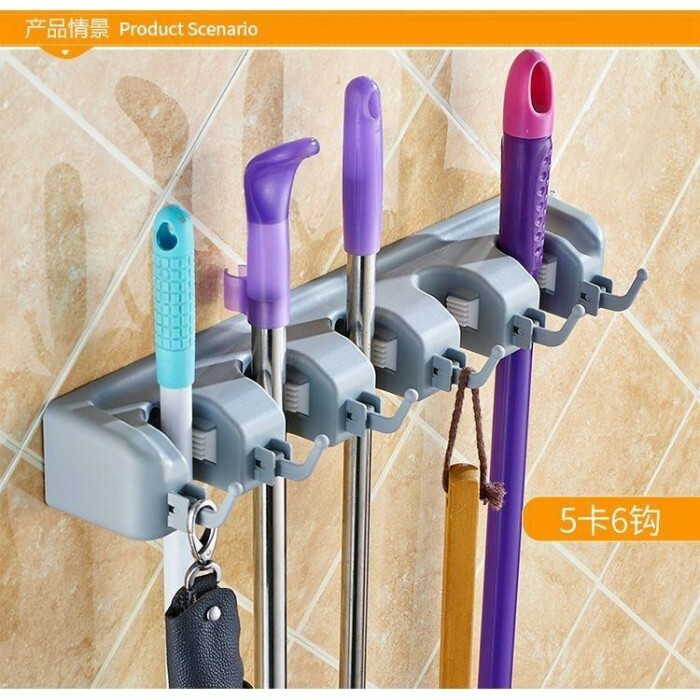 You can take out the broom by lifting the handle up, the ball will release your broom. 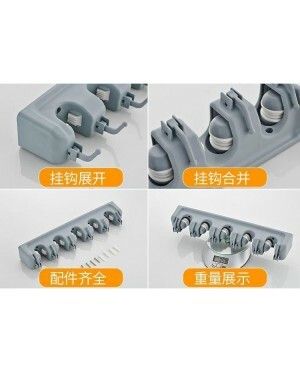 FLEXIBLE HOOKS - The hooks can be unfolded and folded up, you could unfold it for storing many small stuffs, such as keys, umbrellas, towels, and brushes etc.